Here is a link to a website dedicated ONLY to essential oil testimonies. There are THOUSANDS upon THOUSANDS. You be the judge. Essential Oil Testimonies. Here is the first option to view our products. I love essential oils for so many reasons. People used to go to their local pharmacist for medicine and all of what we received was NATURAL and PLANT BASED. This is my attempt to back to that time. Big Pharma took all of our natural cures and synthesized them for BIG profit. This is NOT natural but these oils are. There is a full screen option in the form of a small box that will pop up. Click it when you see it as it is MUCH easier to see that way. HERE is another way to see what we are all about. This links you directly to our USA website. Remember that Young Living CAN only publish claims that are FDA compliant and not what the oils are actually capable of doing based on their scientifically proven constituent content. The healing properties are really basic chemistry. Let me give you a quick rundown on those constituents and what they do. It is not my intention to give a lesson in organic chemistry here, but a brief explanation of the building blocks of essential oils, otherwise you would NOT know WHY they work. So let’s begin. ALL Young Living Oils are Certified Pure Therapeutic Grade. Physically, essential oils are made up primarily of the elements – Carbon, Hydrogen and Oxygen. The secondary elements consist of Potassium, Sodium, Calcium, Magnesium, Phosphorus and Chlorine with a few trace elements thrown in – Iron, Zinc, Selenium, Iodine, Bromine, and Fluorine. There are two main groups of essential oil constituents that define the chemistry of essential oil. They are hydrocarbons and oxygenated compounds. These atoms of carbon, hydrogen and oxygen combine to produce thousands of possible molecule compounds. Chemists have identified more than 3,000 aromatic compounds so far and more are continually being discovered. The intricate relationships between the many compounds are not completely understood. These are further subdivided into sub-groups that are listed below. Monoterpenes – are present in almost all essential oils. According to The Reference Guide to Essential Oils, their action is to inhibit the accumulation of toxins. Monoterpenes also enhance the therapeutic values of other components and are the balancing portion of the oil. They restore the correct information in the DNA of the cell once the sesquiterpenes and pheonlics have done their job. They all contain the functional group C10H16. Sesquiterpenes – Delete bad information in cellular memory and are present in almost all essential oils. The chemistry of essential oils tells us that they are the largest group of terpenes known naturally in the plant and animal kingdom! They are larger than monoterpenes and are very viscous (less volatile) so they are often used as fixatives in the perfume industry. Viscous oils have a longer half-life and blend well with lighter, more volatile oils. Phenolics – are stimulating to the nervous and immune systems. They clean receptor sites of cells so sesquiterpenes can delete faulty information from the cell. They have antioxidant properties and a high level of oxygenating molecules. What Essential oils that have a High Percentage of Phenolics? Examples of essential oils that have a high amount of phenols are Wintergreen, Clove and Melaleuca alternifolia (Tea Tree). Alcohols –have a high resistance to oxidation and have the ability to revert cells to normal function as shown in animal studies. What Essential oils that have a High Percentage of Alcohols? 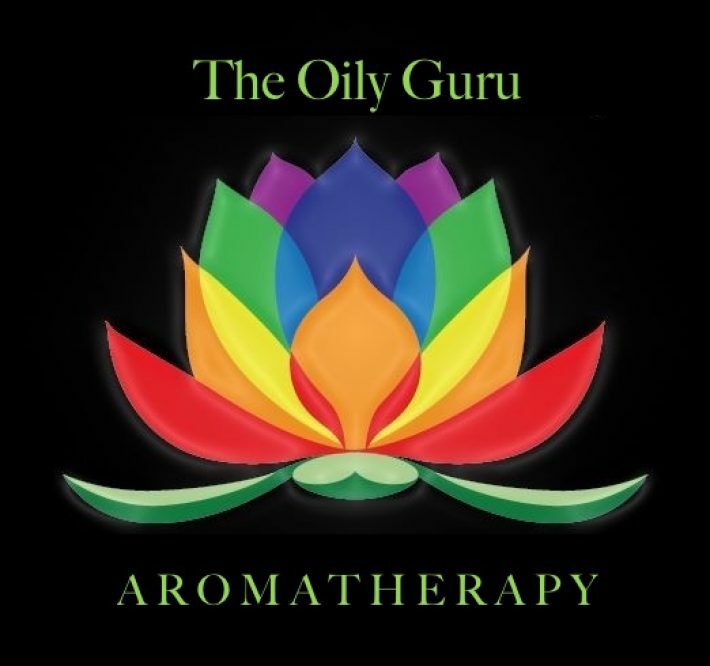 Essential oils that have a high amount of alcohols are Rosewood, Geranium and Rose Otto. Esters – result from the reaction of an alcohol with an acid. They are the most relaxing, calming and balancing of all the essential oil constituents. They regulate the nervous system and are antispasmodic. What Essential oils that have a High Percentage of Esters? Bergamot, Valerian and Roman Chamomile have high amounts of esters. Aldehydes – are responsible for all the delightful fragrance of essential oils! They are calming to the nervous system. They are best known to relieve stress and promote relaxation. What Essential oils that have a High Percentage of Aldehydes? Cinnamon Bark, and Lemongrass have a high amount of aldehydes. Ketones – are not as prevalent as monoterpenes and alcohols. They have distinctive fragrances and are calming and sedative. They also stimulate cell regeneration, promote new tissue growth and liquefy mucous. What Essential oils that have a High Percentage of Ketones? Western Red Cedar, Idaho Tansy and Rosemary have a high amount of ketones. Oxides – are derived from other compounds such as alcohols, terpenes or ketones which have been oxidized. They are expectorants are can be mildly stimulating. 1,8-cineol or eucalyptol is the most prevalent member of the oxide family and it is many plants! What Essential oils that have a High Percentage of Oxides? Ravitnsara, Rosemary CT cineole and Eucalyptus species ave a high amount of oxide. There are other classes of compounds that are not discussed here but essential oils can contain small amounts of them. They are not the dominant classes; they are usually 20% or less. And most of these sub-groups can be broken down further into specific compounds. From there you can really see the total chemistry profile of the essential oil. And honestly it is quite interesting to look at! Can you give an Example of an Essential Oil Chemistry Profile? Yes, for example, one of the benefits of grapefruit is that it contains 86-92% d-limonene! D-limonene is a highly regarded antioxidant and is a monoterpene. Grapefruit contains 90-95% monoterpenes, 3-8% Tetraterpenes, 1-3% Aldehydes, and less than 3% Furanocoumarins, Sesquiterpenones, Alcohols and Thiols. So as we can see from the chemistry of essential oil that Grapefruit is a detoxifier, has cleansing properties because it is a mostly made of monoterpenes! Even though I only provided an overview of the chemistry of essential oil, I hope you can see now how it connects to knowing more about your oil. From the viscosity, volatility and medicinal properties, the chemistry profile can tell you a lot about the plant and your oil. And when the safety of essential oils tells you to stay away from phenols you will know why! Most of the essential oil reference books will provide the chemical constituents of the oil. So take a look at it so you can start to correlate the chemistry with the medicinal properties! David Stewart’s book The Chemistry of Essential Oils (Made Simple) is a fantastic reference for you to have on hand. It will teach you chemistry simply and all the profiles and common and scientific names of your plants are contained in there as well. I highly recommend the book! If you are thoroughly confused or want information about what a specific oil can do, please send me a message and I will get you the information. Reference books are stacked all over the house as I am studying to become a Certified Aromatherapist. Plus I have access to information on-line that lay people cannot get. Let me be your GO TO on all things essential oil. You have a question? I have an answer(s). Here are a few books I love on Essential Oils.